They’re in everything from disintegrating water bottles and weathered synthetic clothing to facial scrubs and even, until recently, some toothpastes. Microplastics and their smaller cousin, microbeads, can eventually end up in our water, and have helped create huge swaths of ocean debris with foreboding names like the Pacific Trash Vortex and the North Atlantic Garbage-Patch. The manmade material poses a risk to marine life such as fish, which can mistake it for food and ingest it, and to humans, who in turn eat the fish. And they can be found in our local waterways, too. Addressing such a widespread problem can be daunting, but can also bring together people from varying perspectives and backgrounds for a common good. In fact, a U.S. Congress that is often at loggerheads united to pass the bipartisan Microbead-free Waters Act of 2015, which President Barack Obama then signed into law. It bans cosmetics and toothpaste that contain synthetic plastic microbeads, effective Jan. 1, 2018. 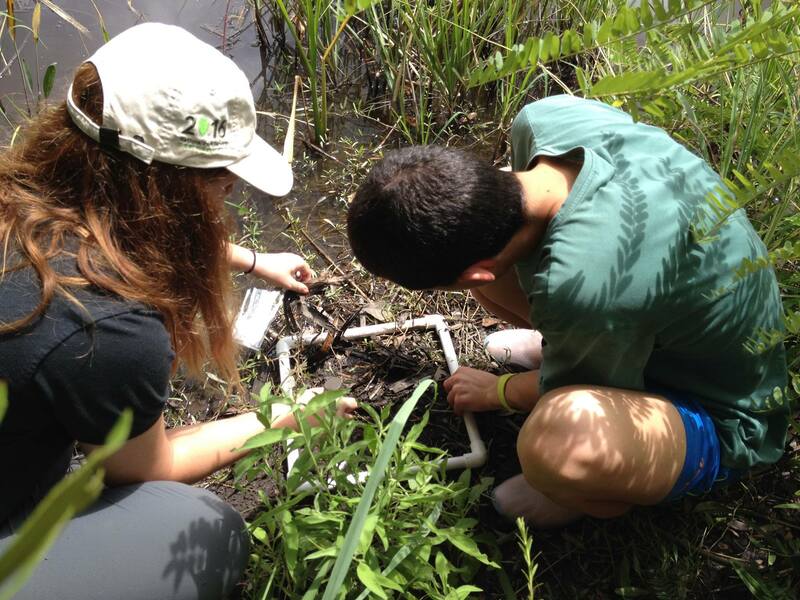 In Jacksonville, people from all over the world gathered this summer at Jacksonville University to study the problem. 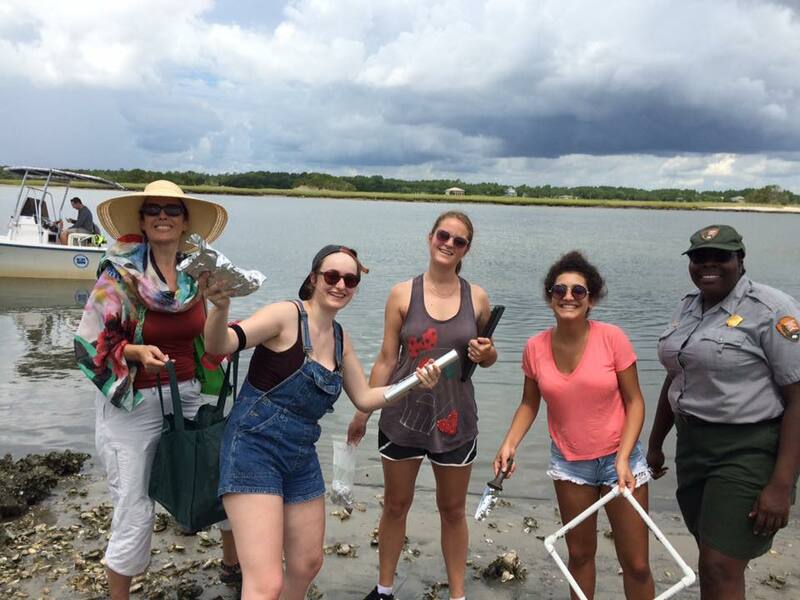 As part of CISV (Children’s International Summer Village) Jacksonville, 19 volunteers from 10 countries assisted the National Park Service, St. Johns Riverkeeper, Timucuan Parks Foundation and Northeast Florida Aquatic Preserves to conduct a microplastics study. The group collected sediment and water samples from in and around the Timucuan Preserve and analyzed the samples at the JU Marine Science Research Institute to determine the presence of microplastics. It was part of CISV’s larger International People’s Project (IPP) from July 15-Aug. 2, in which volunteers from Austria, Denmark, Ecuador, Egypt, Sweden, France, Portugal and Spain explored Jacksonville’s largest urban park system in the U.S. and helped with environmental preservation and sustainability initiatives at a variety of local organizations. While CISV primarily focuses on youth, its IPP is geared to adults. 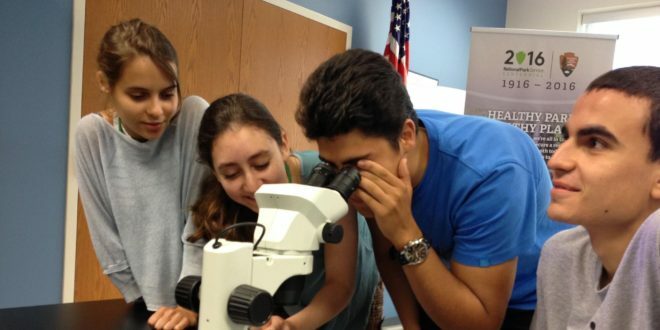 This year’s IPP volunteers, most college-aged, were housed at JU for more than two weeks, collaborating with the MSRI, faculty and staff. The data collected by the CISV volunteers will be put into the Florida Microplastics Awareness Project (FMAP) database, as well as help the National Park Service manage resources in the Timucuan Preserve. 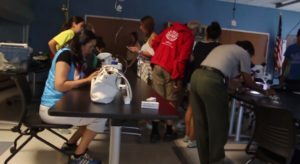 Staff of the preserve, the Riverkeeper and other partner agencies will then help spread the word about how all members of the Jacksonville community can help manage this pollutant in many ways, from choosing the products they may buy and use to becoming hands-on citizen-scientists. 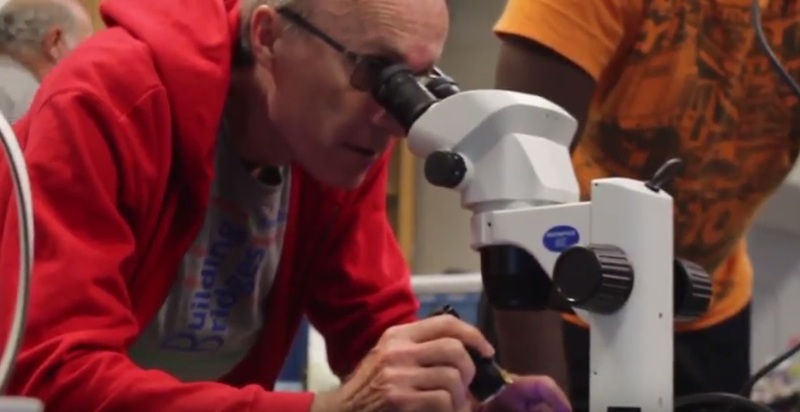 FMAP is a citizen-scientist project funded in 2015 by an outreach and education grant from the National Oceanic and Atmospheric Administration’s Marine Debris Program. 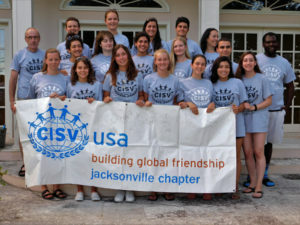 The Jacksonville Chapter of CISV (www.cisvjax.org) was founded in 1976 and each summer sends about 50 Jacksonville youths to international camps and programs and hosts an international program here in Jacksonville. 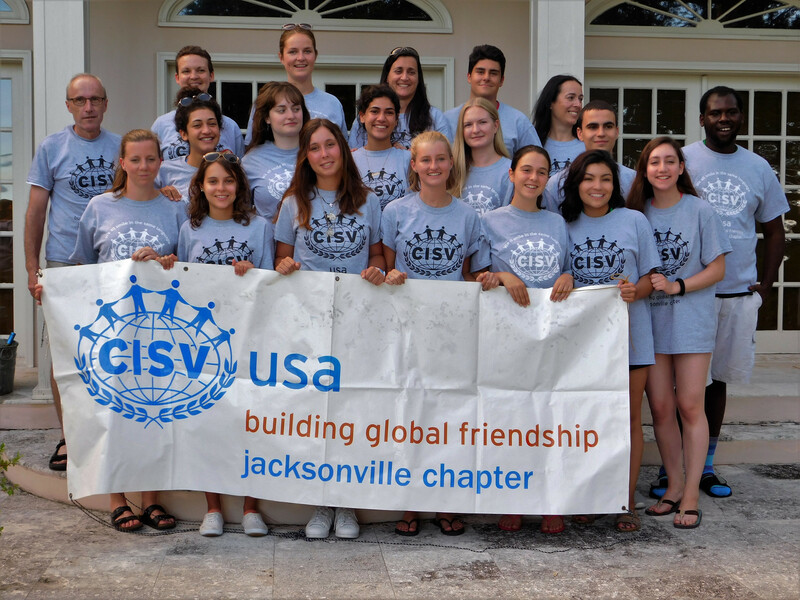 Founded in 1950, CISV (www.cisv.org) is a global organization that educates and inspires action for a more just and peaceful world through international educational programs, primarily for youth.